i'd like to be able to drain the grey tank into a bucket or something without having to hook up to a septic. is this possible? just fyi, i will not be using the black water tank for now so it will not need dumping. only the grey. this is for a 1983 sunline 1350. It is specifically designed for gray water. Using it for the black tank would be messy... It has a handle attachment, that allows you to hook it to your hitch ball and drag it slowly to a dump station, or wherever you intend to dump. It also comes with a hose that allows you to connect it to the holding tank drain outlet. thanks. i'm not in need of a receptacle right now, only a method to "how to drain." people have only shown me with the use of the hose from my camper to the dump. i don't want to use the hose, just drain it somehow. There is a drain cap that allows a water hose to be connected to the drain. That wouldl let you connect a water hose to the drain instead of having to haul the larger septic hose around. Don't forget and use the drain hose to fill the water tank. Could make you sick. thanks for that, very nice. then it just uses gravity? i've never drained either way before. the manual says there's a wayy to keep the black tank closed while opening the grey tank valve and hooking it up to the hose. Yes, the tanks drain by gravity. It sounds like your asking how to simply dump your gray water on the ground or maybe connect a hose to run the water away from the camper to dump away from the camper. I would not do this. Especially since your living in Florida. You know how we have these wonderful wildlife species. Your gray water will dray them like honey to a bee. Even the little squirrel that likes your thrown away water might also like to make his nest in your camper's floor. Depending on which part of Florida you live in you might wake to a cute alligator waiting for food to go with the water. Also having the hose, of any kind, laying on the ground to drain will allow everything from bugs to lizards to crawl back inside the tanks and the camper. Just don't drain gray water on the ground. There may be laws against it that will add fines to the other problems draining onto the ground might create. If this is not your intentions, forget I said anything, LOL! When I go camping I do my best to raise lines, such as the electric and water hoses, off of the ground. This helps reduce the invasion of insects and small animals that use smooth surfaces like they are super highways to inside the camper. 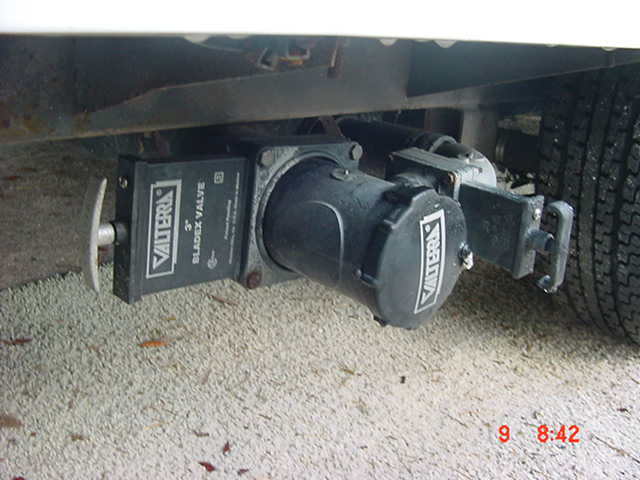 I also spray bug spray around jacks and axles where they meet the ground. Waking to a army of ants crawling all over is no fun for sure, especially fire ants. Now, hopefully you have somewhere to dump that water like a septic tank or enclosed drain of some kind you can look at the black pipes where the drain pipe will connect. You should see two t-handled valves. One in a larger pipe and another in a smaller pipe. The large pipe should be your black/toilet water dump valve. The smaller pipe should be your gray/sink water dump line. 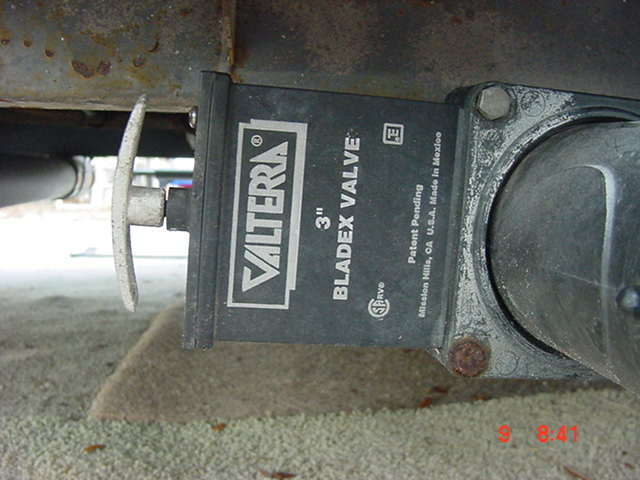 To open and close these valves simply pull the handles out to open and push them in to close. 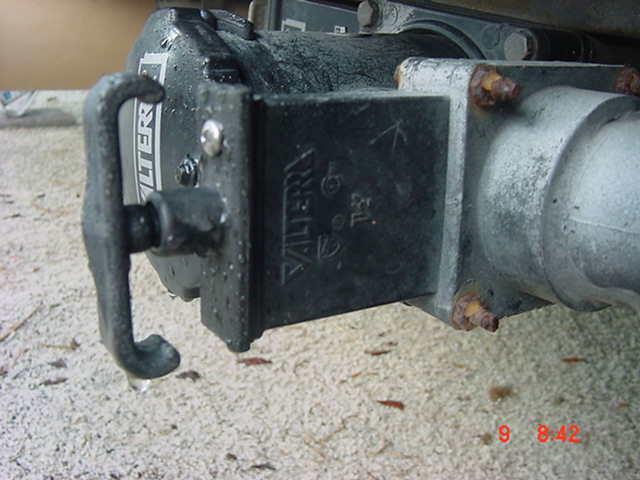 Leave the black water valve closed, pushed in, and pull the gray water valve out to let only the gray water drain. If the camper is new to you I would go dump the black water to make sure it is empty. Would not want to wake on a freezing morning to the smell of septic water dripping from a busted pipe. no, i'm not going to dump straight on the ground, yuck. it will be disposed of properly. good tips too. thanks jim-bev. "You should see two t-handled valves. One in a larger pipe and another in a smaller pipe." jim-bev, when i took a look, i only have 1 t-shaped valve. there is a main large pipe: the smaller pipe (grey water) is connected on the side with a t-valve. then there is a "wall" in the large pipe, which from what it looks like, it comes from the black water, but no valve or anything that indicates to opening it. the grey water pipe comes in front of the "wall", so it doesn't appear that there is overlap with the tank drains. everyone has said "drain the black first so that the grey can wash the pipe after" but i don't see how that happens. thoughts? is it possible that a valve broke off and i should be looking for something else? noralee, That "wall" is probably the black water valve and the handle is missing. Pictures might help here but in the small pipe, the gray water pipe, the t-handle is on a silver rod that slides in and out of a black plastic valve body. Where the wall is in the big, black water, you should see the valve body like in the smaller pipe. Is there a silver rod sticking out for the t-handle to fasten too? Where is Florida are you? I just looked and see your in Oakland. I'm about two hours South of you on Hwy 27 in Sebring. Should get lots of company being so close to Disney. Noralee, Maybe these pictures will help some. They are of my waste connections. First is a shot of both dump valves and the hose connection. The gray water valve is on the right and the black water is on the left. Yours may be in different locations. Next is a shot of the black water valve. Last is the gray water valve. You can see the complete valves including the t-handle and valve body sticking out from the pipe. The "wall" your seeing is the blade of the black water valve. To the side of that wall you should see the body of the valve and at the end of the body is where the t-handle should be. If you do not see the t-handle then it might have unscrewed leaving a threaded rod. Pulling that threaded metal rod will open your black water tank.